Established in 1986, the Special Technologies Laboratory (STL), located in Santa Barbara, California, is part of the Nevada-centered complex of facilities owned by the NNSA. STL specializes in the focused development of special-purpose devices, measurement instruments, and analysis methods tailored to the needs of the government end-user. 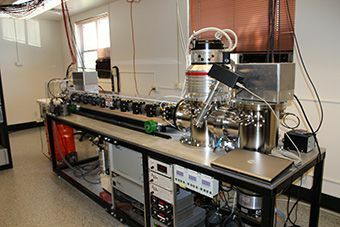 The laboratory is skilled in fielding complex experiments for field deployment or laboratory application of measurement and analysis tools, as well as deployment of resources and technology to support global field requirements of the U.S. Government. Since its creation, STL has developed a culture of innovation and a reputation for providing relevant solutions to difficult national security problems. The culture of the lab is one of sponsor focus, collaboration, quick response, and technical achievement. The laboratory is a multi-mission support organization benefiting DOE stockpile stewardship, physical security, and nonproliferation organizations, as well as other programs associated with the NNSS. STL’s scientists and engineers are capable of taking a complex idea through the design, development, and proto-typing stages to provide sophisticated yet easy to use technical solutions in short periods of time. User friendliness, maintainability, reliability, and low operations costs are other distinctive characteristics of the laboratory work.